Having less time to travel doesn’t meaning that you can’t see it all. On this 7-day best of Portugal tour, you will experience the culture and life style of the Portuguese people. Visit the best sites in the country and have unique experiences that you’ll take home. 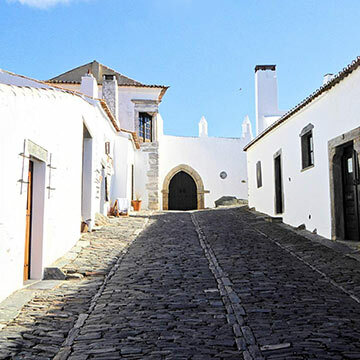 From Portuguese Red-tiled roofs contrasting with the whitewashed walls of the houses to colored tiles facades, unique wineries on mountain slops to alentejo’s open plains, 12th century monasteries and top hill walled cities to 19th century manor houses you’ll experience all. Portugal is waiting for you! The tour highlights recommend some places to visit, however, there are others that may interest you, so we list some of them on ‘optional visits and experiences’. Our main goal is to provide you an unforgettable day therefore we have the flexibility to customize the itinerary according your preferences and tour length. Your tour guide will pick you up at the airport and take you on a half-day introductory tour, starting with one of the most beautiful view points in the city. Along the day you’ll pass by some of the oldest neighborhoods of the city and visit the best spots. 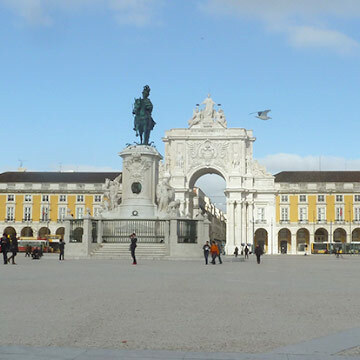 Located in ‘Praça do Comércio’ it is one of the largest squares in Europe and for many centuries the main entrance of the city of Lisbon. Currently the square is used for cultural events, New year’s eve and music concerts. Visit the charming village of Sintra, located in a Natural Park with castles and grand mansions used as summer houses for the Portuguese royalty. It’s a UNESCO World Heritage site and owing to its beauty is one of the most visited sites in Portugal. On the afternoon you’ll visit the emblematic district of Belém. 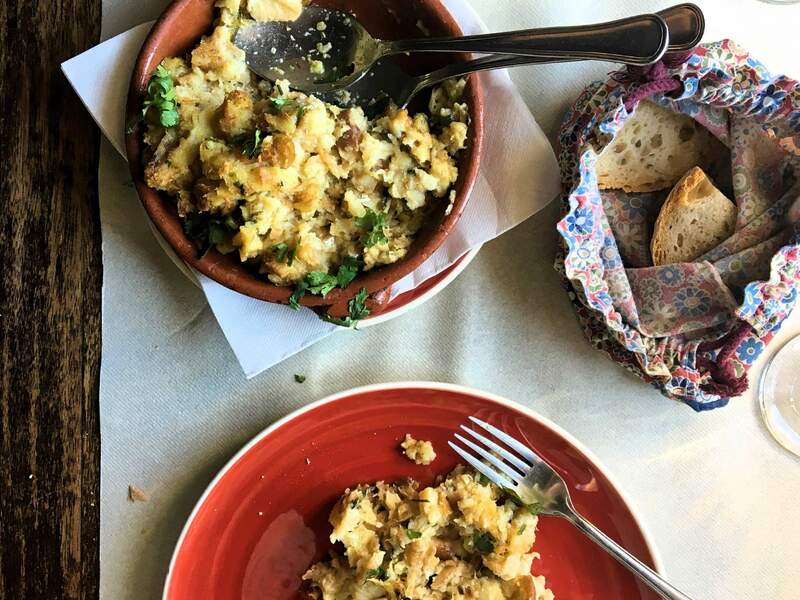 While taking a brief tour through the historic centre, you’ll find yourself surrounded by old houses that have been converted into small shops and bakeries, selling local products and handicrafts. The Park holds more than 200 species of vertebrates: 33 mammal species, more than 160 bird species, 12 amphibian species, 20 reptilian species and 9 sweet water fish species. 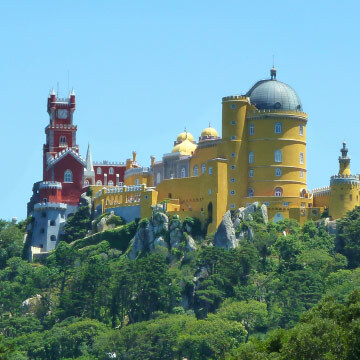 An astonishing fairytale 19th century Palace located on one of the highest peaks of Sintra’s mountain range. It’s located on a large cliff with more than 140 meters height. Considered the most western point of continental Europe has an amazing view to the Atlantic Ocean. Considered one of the most beautiful beach of the region of Lisbon was the place of a James Bond movie scene: ‘On her majesty’s Secret Service’. Cascais is a former fishing village which has been able to maintain its traditions through centuries by combining them with the aristocratic life. Launching point for the Portuguese discoveries, with significant historic monuments in a beautiful open riverside setting. Here you can see the Belém Tower, the Discoveries Monument, visit the church of the Jerónimos Monastery and taste the world-famous custard tarts of Belém. This Western Portugal day tour will offer you an unforgettable experience. Discover the typical crafts, the rich gastronomy, the traditions, the aromas and flavours in a unique atmosphere that characterizes this region. A medieval town which is one of Portugal’s most interesting walled settlements. Here you can have a taste of the typical ‘Ginja’ while walking along its cobbled streets. Nazaré is a seaside resort with its own charm. It’s Portugal’s most famous fishing village because of the “big wave phenomenon” and it was where the American surfer Garrett McNamara set a new world record in 2011, surfing a 90ft wave. Considered the Venice of Portugal, here you will take a boat trip through the city’s canals. During this Oporto city tour we will experience the history and immense charm of the city. Designed by Théophile Seyrig, a disciple of Gustave Eiffel, the bridge was inaugurated in 1886 and connects Oporto to Vila Nova de Gaia, on the other side of the Douro River. Port’s Wine is internationally acclaimed for its quality and although it is produced in the Douro Valley, the cellars are located in Oporto. Have a taste of this amazing and unique sweet Oporto’s wine. Enjoy the fantastic landscapes on board of a typical local boat called ‘Rabelo’. The railway station of Oporto built in the 20th century is the most beautiful in the country. 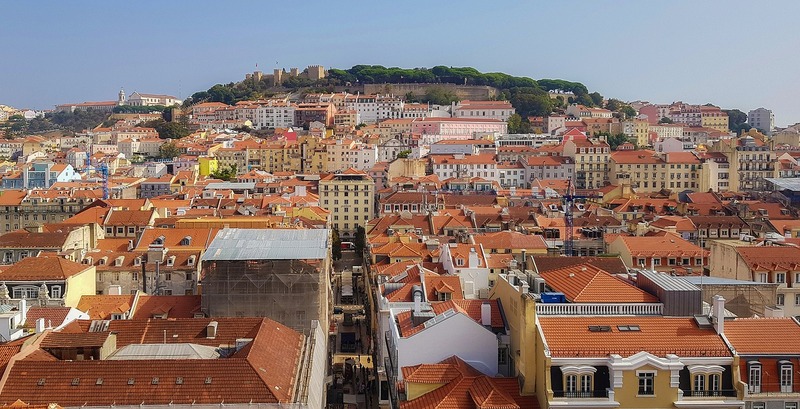 It has a glass and iron structure and it’s decorated with twenty thousand tiles that illustrate the evolution of the transportation and important events of Portuguese history and life style. Considered to be the city’s symbol, this 18th century baroque church was designed by the Italian architect Nicolau Nasoni. The Church of St. Francis was classified as a National Monument and Unesco World Heritage because of its extraordinary decoration in gilt wood carvings. The Cathedral of the city of Porto, located in the heart of the historical center is one of the main and oldest monuments of Portugal. Located in central Oporto was built in 1834 in a neo classical style by the Commerce Association of Oporto. Explore one of the most beautiful region of Portugal: The Douro Valley, is classified as a World Heritage site by UNESCO. Here you will find several vineyards planted on the mountains slops. Enjoy breathtaking landscapes and visit local wineries where you can taste the famous Douro wine. At Pinhão you will visit the railway station to see the famous 24 tile panels with landscapes of the Douro Region. Discover two of the most famous UNESCO World Heritage Sites, in Portugal: Coimbra and Tomar. Known as the city of the students, offers centuries of culture and history. Here you can visit the oldest university of Europe and its world-famous library and walk the downtown city centre. One of the historic centres of Portugal with the highest concentration of monuments. In the town centre you’ll visit the churches of ‘São João Baptista’ and of ‘Santa Maria do Olival’ and the oldest synagogue in Portugal. After the extinction of the Knights Templars in 1312, King Dinis creates a new religious militia the Military Order of Our Lord Jesus Christ, claiming the need to defend Portugal from Islam. The headquarters of the Order of Christ is set up in the former Knights Templars headquarters in 1357 where it will remain for centuries. Regarded as one of the greatest monastic complex in Europe was classified by UNESCO as a world heritage site in 1983. Inside we can see the Charola, the Knights round temple, the unique western window designed in Portuguese late gothic style and the main cloister, a masterpiece of Renaissance architecture. On your 3rd day you have the option to visit Fátima; Portugal’s religious capital that attracts millions of pilgrims every year, due to its mystical power and atmosphere. It can hold about 300 thousand faithful at the same time and is twice the size of St. Peter’s Square in the Vatican City. The Shrine of our Lady of the Rosary of Fátima is a place of pilgrimage, which celebrates the apparitions of Our Lady to the three little Shepherds: Lucia de Jesus, Francisco and Jacinta Marto. At the Shrine you can visit the Basilica of Our Lady of the Rosary of Fatima, the Chapel of the Apparitions, the Basilica of the Most Holy Trinity. Around 2KM from Fátima in a small village called ‘Aljustrel’ you can visit Marto’s family house and Lúcia’s house. Experience the Portuguese lifestyle in its best. Visit and explore Alentejo, one of the most traditional regions in Portugal.